Version by version, Windows is trying hard to reach a unique benchmark it has set for itself. For a Windows 8 Mobile Application Development Company today the confronting minute details demand a lot of analysis to play safe in the market. Totally out of that business talk, in this article I have tried to give a few quick pointers on getting started with the Windows 8 Mobile platform and also an abstract outlook on the present Windows 8 App Development Area. Apart from the utile default apps Windows 8 Phone gives you, you are obviously going to need a handful of third party apps to make your experience better. And it becomes inevitable for Windows 8 App Development, since many popular Mobile apps available in Android, iPhone etc. are not available for Windows 8 Phone. And as an eCommerce business owner, you might seek a Windows 8 Mobile Application Development Company for a variety of reasons, be it for your Mobile eCommerce or just a game idea that you want to develop. Whatever it is, you got to be careful in choosing the best Windows 8 App Development party, since you’d be investing quite an amount in the app. In the earlier versions of Windows mobile, to take a screenshot, you’d have needed to unlock your phone and install a specific Windows Mobile app for it. But now in Windows 8 Mobile, taking screenshots just needs you to simultaneously press the ‘Home’ and ‘Lock’ buttons (same like you’d do in an iPhone). 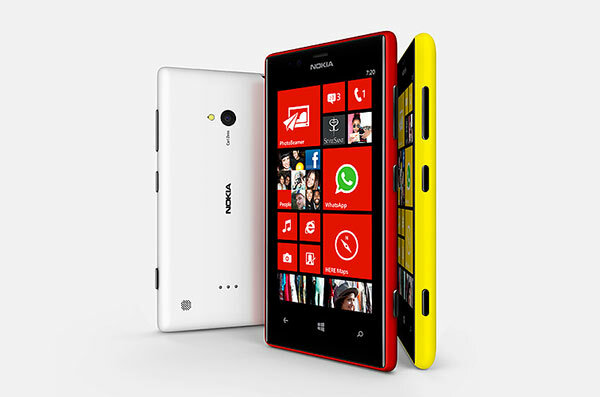 The foremost appeal of the super hit Windows 8 Phone is the Home screen or the Start screen. The Television ads advertising the Windows 8 Phone claim that this home screen could be customized as favourably as the user wants to, making it an unique experience to every type of user. Now there could be endless possibilities to categorize Windows 8 Phone users by the way they customize the home screen. Irrespective of what kind of a Windows 8 Phone user you are, the 4 essential apps that are constant in all home screen categories are: Phone, Messaging, Internet Explorer& Mail. Are you the Glitter Hater? Who cannot stand too many colours on your phone display? Then you have full access to customize the colours keeping an uniform grey or white or whatever you want to, without having a multiple colour scheme. The apps (other than the core apps) you’ll need on the home screen are: Weather View, Connectivity Shortcuts, Nokia Maps. Sharing Freak: For the social bird who keeps tweeting and buzzing about every single activity of the day: Facebook, Twitter, Metrogram (Instagram), Pinspiration (Pinterest), 4th & Mayor (Foursquare), Smart Shoot. There are lots of social media plugins provided by Windows 8 Mobile Application Development Company in the market. Quick Mover: For the “cut the crap and help me get my job done” guy: Clearer, SkyDrive, LinkedIn, Skype, Connectivity Shortcuts. In case of third party apps, make sure you check well not just in marketplace but a lot of reviews before you choose. A Mobile app company that has provided popular apps for Android in the past need not be an expert for all platforms, thus not be a good windows 8 Mobile Application Development Company.Once you have had a great experience with one such good Windows 8 App development brand, follow it up to find out about its other products. Compared to the Android platform, the current Windows mobile version provides lesser range of apps, increasing the need for more third party Windows 8 apps from the Windows 8 app development companies. But there is also a huge chance that very soon Windows 8 phone will have all the utile applications that the other platforms have. However the condition is the next question of quality and development arises for the Windows 8 Application Development parties. And that’s where the competition began as usual. As you search for the best Windows 8 Mobile Application Development Company today there are thousands of good choices you will struggle to choose from. The technical characteristic of Windows 8 App Development is quite different from that of Android or iPhone. Thus is the market/business characteristic for Windows 8 App Development. Since the users benefiting from the products a Windows 8 Mobile Application Development Company are percentage wise less than that of the other two successful platforms, the focus becomes small but the understanding of their usage becomes equally tough. Hope the next version to Windows 8 comes in even better enough to edge Android and iPhone. I would personally love to see that happen! Good luck! Will Tablets Replace PC’s over the Next Decade?